Someone with hemophilia B will be prone to nose bleeds. 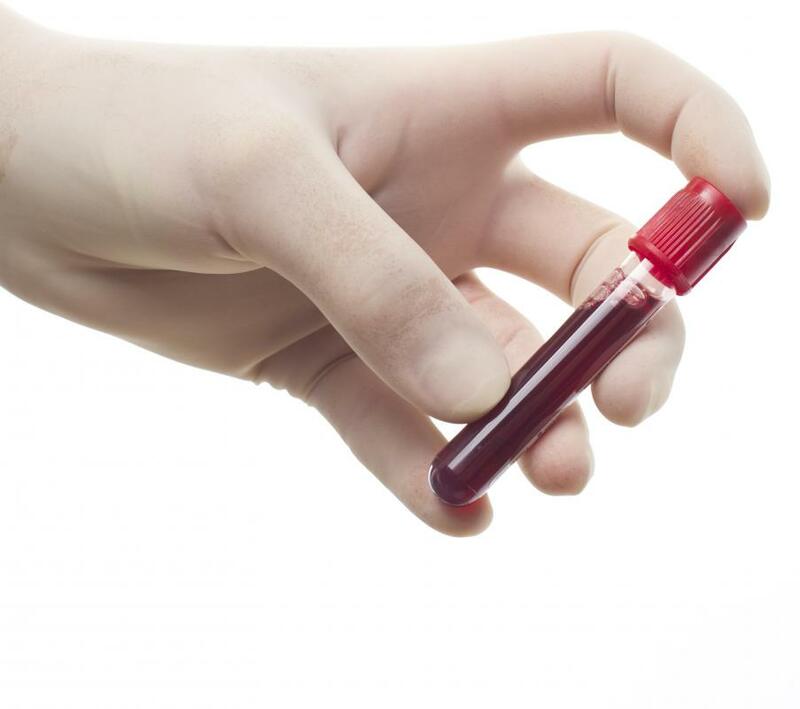 Blood samples can determine if a patient has hemophilia B. 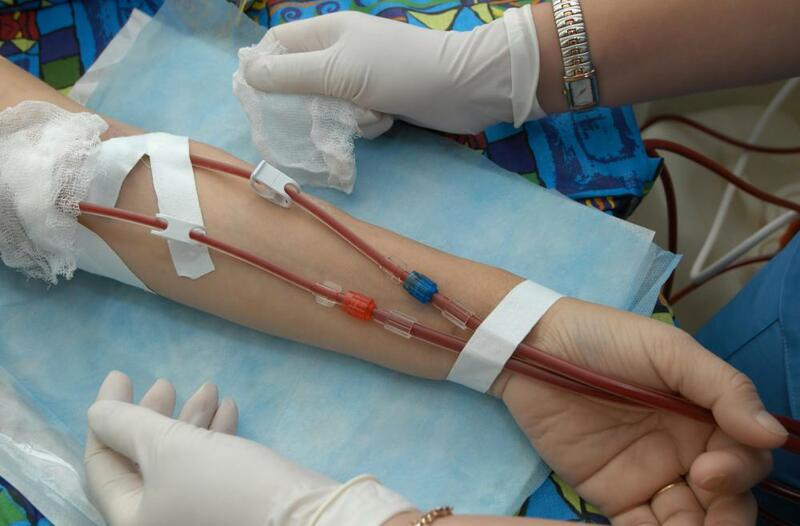 A person with a severe form of hemophilia B may need constant blood transfusions. Hemophilia B is a hereditary condition in which a person’s body is unable to properly prevent blood clotting, which results in extensive bleeding. 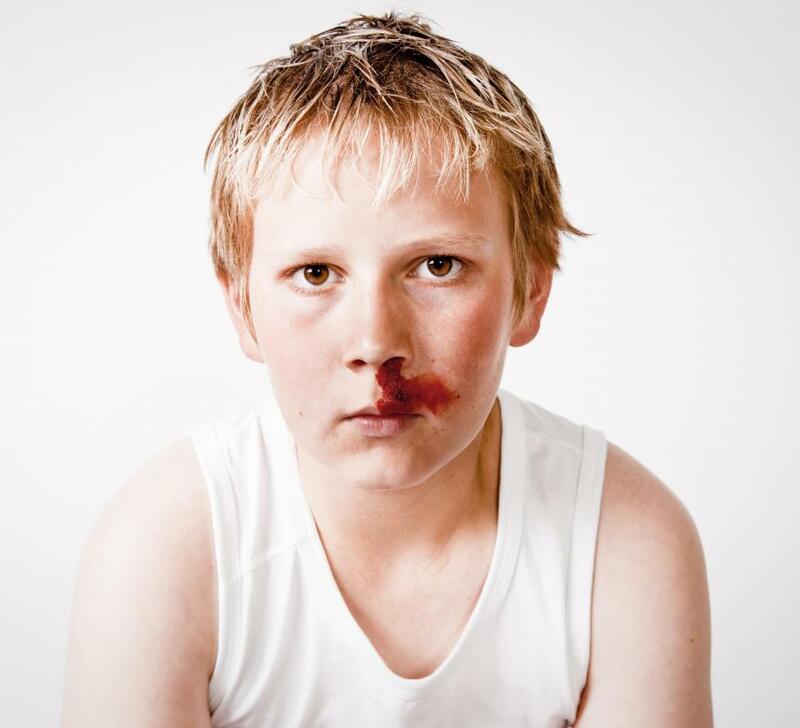 A person with hemophilia B is prone to nosebleeds and long periods of bleeding from surgery. Caused by a defective gene on the X chromosome, the condition is more common in men than women. While it is possible for a person to bleed to death from the disorder, most people are able to live a normal life with treatments, including a vaccine. As a result of an insufficiency of a blood plasma protein called factor IX, a person is unable to control bleeding. If an individual does not have enough of the protein, blood is unable to coagulate enough to properly manage bleeding. When the protein level is not at normal levels, incidents of long periods of bleeding for no perceivable reason may take place. Another name for hemophilia B is factor IX hemophilia. Women are carriers of the gene causing hemophilia B. Since women have two X chromosomes, if one X chromosome is defective, the other can compensate. However, since men only possess one X chromosome, males will have the disorder if they have one defective gene. A male child born to a woman who carries the defective X chromosome has a 50 percent possibility of having the condition, while a female child has a 50 percent possible of being a carrier. It also is possible for a person to develop the disease due to a gene mutation, rather than as a result of hereditary factors. A person suffering from hemophilia can experience severe complications. Internal bleeding may lead to pain and swelling, which can cause deformities of the joints and muscles. Also, bleeding from the condition may cause the base of the tongue to swell, causing difficulty breathing. A person with hemophilia also has to be careful, as a slight hit to the head can result in considerable bleeding in the skull, which can lead to brain damage or even death. Typical treatment for hemophilia B involves an infusion of factor IX concentrate to reduce the potential of excessive bleeding. The amount of concentrate administered depends on how severe bleeding is and the patient's size. If needed, the infusions can be self administered on the onset of bleeding. A person with a severe form of the condition may need constant transfusions, as well as regular visits to a hematologist. It may also be necessary for an individual with the condition to receive a hepatitis b vaccine. What are the Different Methods of Testing for Hemophilia? What are the Different Types of Treatment for Hemophilia?